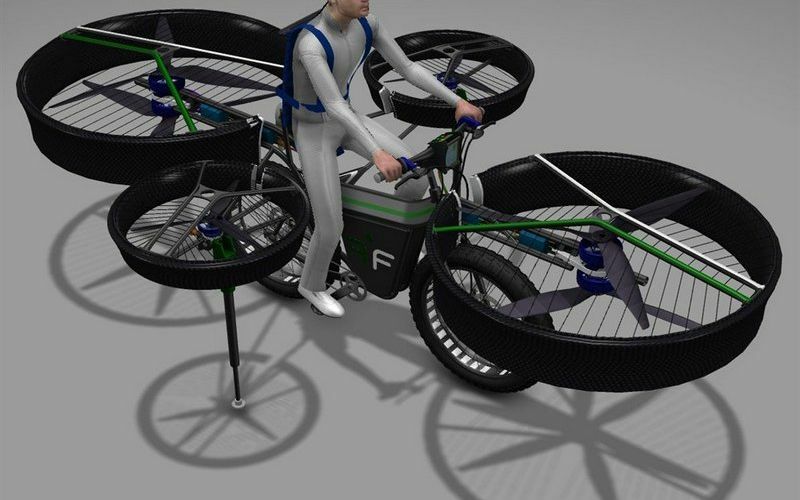 F-bike is an electric bike, measuring 3.50 m long and 2.50m wide, it has six propellers that enable it to take-off. 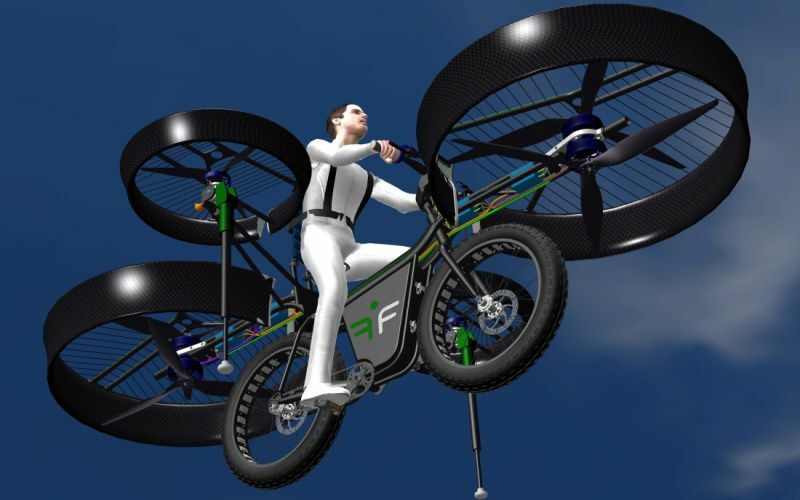 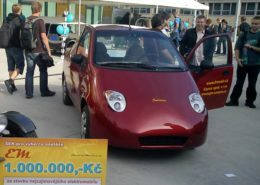 Resulting from a partnership between Technodat, Duratec and Evektor, for now at the concept stage, the prototype of FBike should make its maiden flight in August 2012. 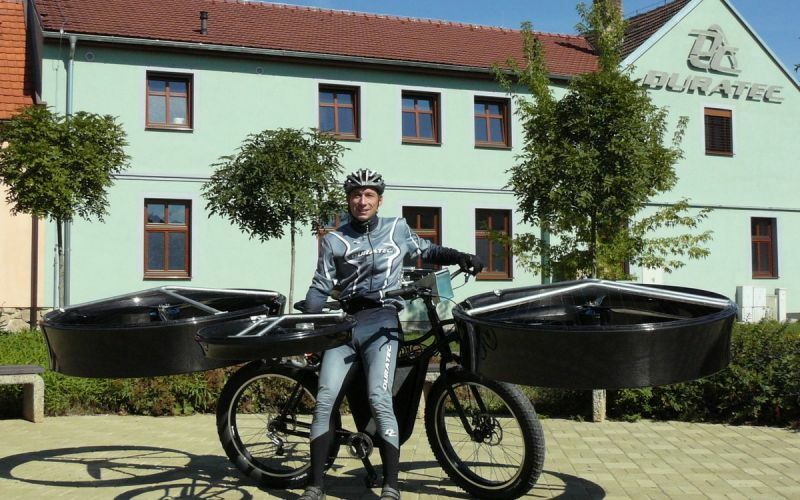 The idea was born last October, the partners decided to create an electric bike that could allow for short flights (up to 5 minutes). 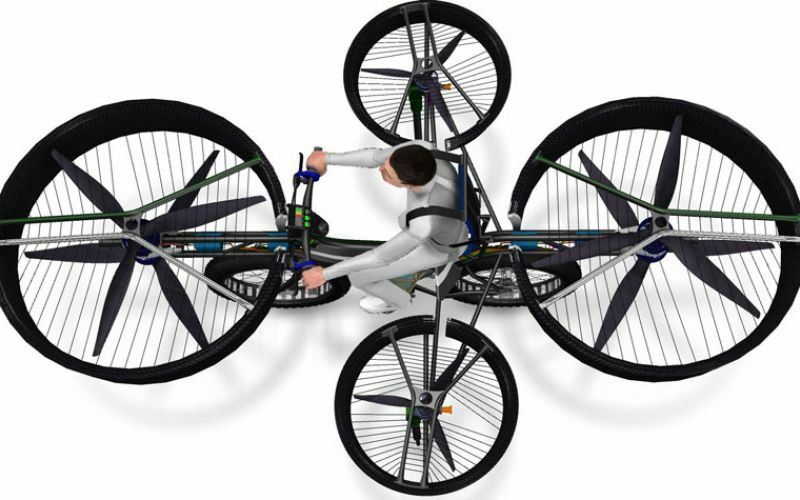 In total six propellers, two contra-rotating positioned at the front and rear, and two singles on the side to stabilize the FBike. 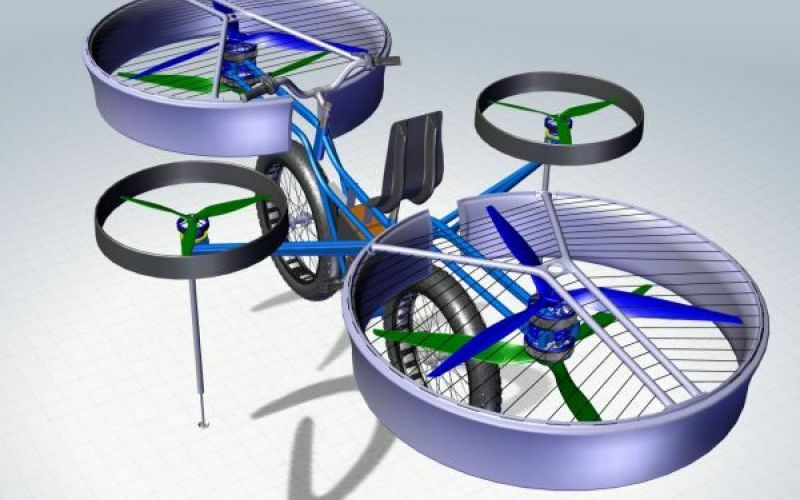 Each propeller has its own motor (Rotex electric RET 30), front and rear-ones are developing 10kW and 3.5kW for the side motors. 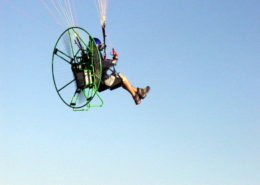 A 20kg Li Po battery of 50Ah -whose location has been thought for an optimal center of gravity of the craft- ensures 3 to 5 minutes of flight range, from 30 to 50 on the road with lateral propellers support for a maximum speed of 50kph. 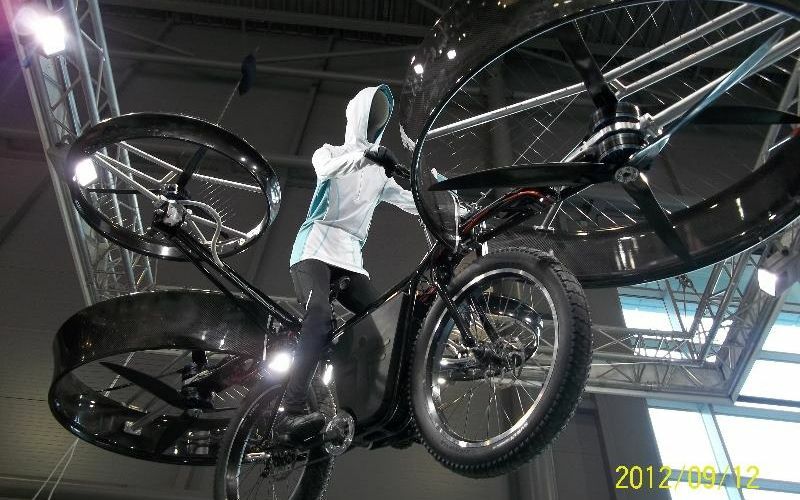 The total weight of the FBike is 85kg. 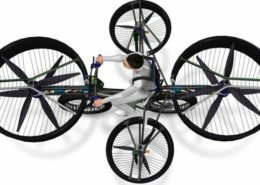 When will we see the FBike in our streets? 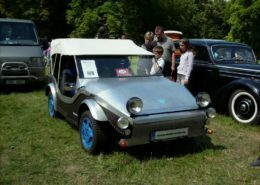 (Fortunately), it is a one-off technology demonstrator designed to be presented at the International Engineering Fair in Brno in September.